Demaris Webster is a Project Manager at 270 Strategies. Prior to coming to 270, Demaris spent two years as a marketing strategy manager and content developer at a software company. In this role, he worked with city agencies and cultural institutions like Chicago’s Department of Cultural Affairs and Special Events, Downtown Brooklyn Partnership and The Art Institute of Chicago to make history, art, and culture more accessible through digital and mobile experiences. Demaris is an advocate for children’s welfare and education. 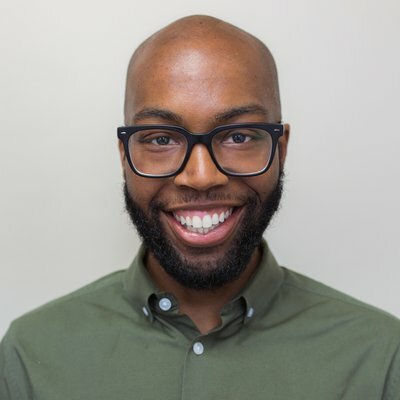 He’s partnered with Big Brothers Big Sisters for nearly seven years and serves on the associate board of The Simple Good, a Chicago nonprofit that promotes social-emotional learning in youth and empowers them to make a positive impact in their neighborhoods. Demaris is a proud lifelong Chicagoan, hailing from the South Side of the city. He is a graduate of DePaul University and a member of Alpha Phi Alpha Fraternity, Inc. Demaris’ passion for the arts bleeds over into his personal life, and he spends much of his time visiting art galleries—especially those with works by Hebru Brantley, Jean-Michel Basquiat, or Yayoi Kusama.